The current lighthouse is a replacement of the original lighthouse built in 1836. Corregidor Island has seen its share of conflicts since the Spanish occupation of the Philippines. During the Spanish era, it was used as a customs checkpoint, thus, the name Corregidor. It was also used as a warning post that hostile ships are approaching. These included the approaches of pirates, such as those led by the Chinese Limahong, the Japanese Sioco, or the Dutchman Oliver van Noort. The island was also taken over by the Dutch and its waters used as anchorage by the British. Mile-Long Barracks - which housed the headquarters of Gen. Douglas MacArthur as well as the living quarters of American officers and enlisted personnel. Middleside Barracks - located at a lower elevation than the Mile-Long Barracks, it housed American and Filipino military personnel. Cine Corregidor - a movie theater which catered to the entertainment needs of those assigned at the reservation and their families. Army Hospital - a cross-shaped hospital that catered to the health needs of those assigned at the reservation before World War II. YMCA Building - a recreational facility that catered to the recreational needs of those assigned at the reservation. School building - built for the children of the military personnel assigned at the island. San Jose Chapel - built for the celebration of religious services of those on the island. Kindley Field - an air strip that could accommodate light aircraft. It also has a terminal building and control tower. 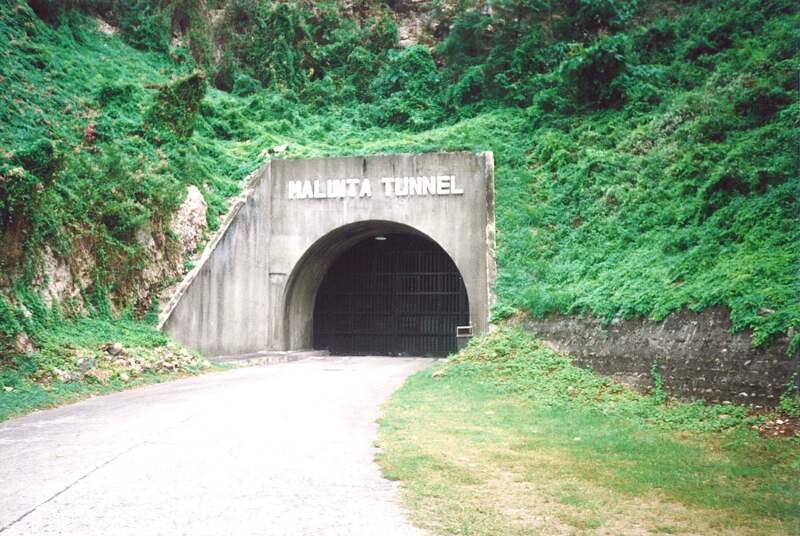 Malinta Tunnel - a tunnel built underneath a hill. It became the United States Army Forces in the Far East (USAFFE) headquarters and hospital during the invasion of the Japanese Imperial Army in the Philippines. Likewise, it became the temporary seat of the Commonwealth Government in the Philippines. US Navy Radio Intercept Tunnel - a top secret station manned by people who decoded Japanese military messages during World War 2. Gun Emplacements - Gun emplacements were scattered all over the island when it was designated as a military reservation. ​World War 2 was not fought only in the Pacific. It stretched to as far as Europe. Imagine the lives it changed. Children have been orphaned. Mothers wept for the loss of their sons. Countless families cannot be made whole again. Even the soldiers themselves were changed. It must have been agonizing for some to kill or maim another human being. Some may have even endured nightmares long after the war was over. Others, still, may have been tortured by the thought that they survived while others didn't. One of several gun emplacements all over the island. Pacific War Memorial Complex - Visitors are welcomed to this complex by the Brothers-in-Arms sculpture showing the camaraderie of Filipinos and Americans in fighting for liberty. The central piece of the complex is the dome with an altar directly beneath its oculus. Sunlight shines directly on the altar on noon of May 5 which in remembrance of the surrender of the Filipino and American troops. It is a reminder that in a short span of time, a lot of lives can be lost. A steel sculpture -- the Eternal Flame of Freedom -- is located farther behind the dome. Aviary - it houses local and foreign birds. Filipino Heroes Memorial - this memorial has several murals illustrating the several struggles the Filipino people have gone through to uphold their freedom and independence. Statue in honor of the Filipino Woman - this statue recognizes the role that Filipino women have played throughout Philippine history. Japanese Garden of Peace - Though the Japanese may have been the aggressors during World War 2 , this garden serves as a place to reflect on the ramifications of war. The place is dominated by a statue of Buddha. Despite the seemingly insignificant size of Corregidor, it played a significant role in World War 2. Now, it can be explored on foot, on a bicycle, or on an ATV. Part of the Filipino Heroes Memorial was the statue made in tribute to Filipino Guerillas. Completing Manila Bay's harbor defenses during the American occupation of the Philippines were El Fraile Island (which was known as Fort Drum to the Americans), Carabao Island (a.k.a. Fort Frank), and Caballo Island (a.k.a Fort Hughes); Corregidor was known as Fort Mills. When one thinks of an island, what often comes to mind is a parcel of land, surrounded by sand and dotted with some palm trees. Not so for El Fraile Island. It used to be a rocky islet, a bit like a camel at rest. When the Americans fortified it, it resembled a battleship. Carabao Island, on the other hand, is a cliff-bordered island, which is accessible through a breach. You have to know how to swim, in case the water vessel you are taking cannot dock on its embankment. You also have to have the endurance to scale several meters of inclined earth. As a fort, the island has some tunnels and batteries. Caballo Island, along with Corregidor. is believed to be a rim of the caldera of a volcano. As with the other fortified islands fronting Manila Bay, it had gun batteries and tunnels. When it was captured by the Japanese, more guns were added. Today, however, it is occupied by the Philippine Navy and restricted to civilians. It was recently used as a quarantine area for Filipino peacekeepers from Liberia.